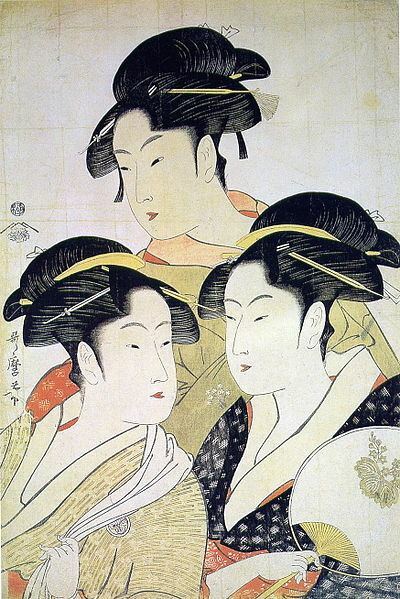 The distinguished art of Utamaro Kitagawa is known internationally based on his stunning art. This notably applies to the depiction of beautiful women (bijin-ga). However, while Utamaro is internationally famous, his life remains shrouded in mystery based on many areas remaining foggy. Therefore, the rich legacy of Utamaro is aligned with his stunning art pieces during the Edo Period of Japanese history that has stood the test of time. 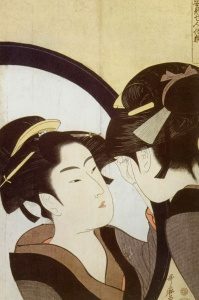 In the early period of the artistic growth of Utamaro, it is known that Torii Kiyonaga and Harunobu Suzuki influenced him greatly. At the same time, new concepts and ideas entered the world of Utamaro while he studied under Toriyama Sekien. However, it was the publisher Tsutaya Juzaburo – who was a patron of Utamaro – who left a lasting influence on this distinguished artist. 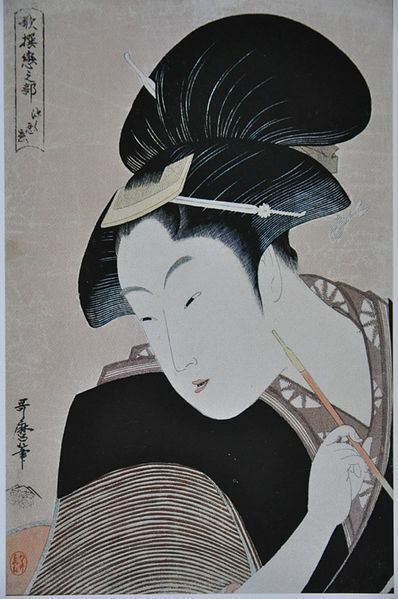 Indeed, after the death of Juzaburo, the artistic input of Utamaro declined in quality. Of major significance for the international legacy of ukiyo-e is the art form of Impressionism. Likewise, the legacy of Utamaro internationally is tied to Impressionism that engulfed many European based artists in Paris and in other parts of this continent. This is based on famous Impressionists who adored distinguished Japanese ukiyo-e artists including the esteemed Hiroshige, Hokusai, and Utamaro. Utamaro didn’t just limit himself to bijin-ga because he also did work related to nature studies, animals, insects, and shunga (erotica). Often, this side of Utamaro is overlooked but clearly, he was multi-dimensional. Also, it must be stated that Shunga may appear to be more sexual from the non-Japanese point of view. However, in Japan, this art form was a way of focusing on the natural side of human behavior. In truth, much remains shrouded in mystery when it comes to Utamaro, for example, the true extent of his family background, upbringing, and overall impact. Equally debatable is the real artistic views of Utamaro and why he took an intriguing path. Yet, despite certain fundamentals missing, it is clear that the legacy of Utamaro is far reaching and this applies internally in the land of the rising sun – and further afield internationally through the prism of Impressionism.